3.3 (Based on 3 Reviews) 67% of reviewers recommended this product. I agree with the first reviewer. These are very inexpensive binoculars, and I am really not happy with them. Better to save for a better pair later on. They look very nice. They are heavy and have good magnification, but lack crispness and clarity. Moreover, there is a fair amount of distortion. Cheap, decent views, fair optics, fair coatings. 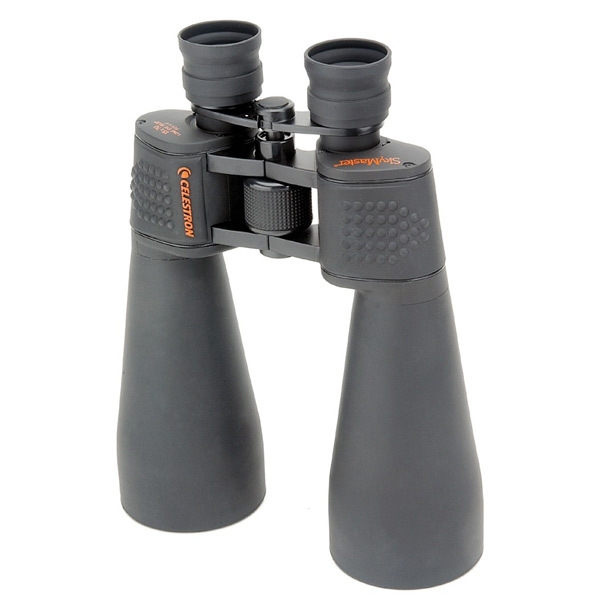 These binoculars from Celestron are one of most inexpensive binos of this size that are on the market today. The cost new is around $89 plus shipping. They are multi-coated with a 4.4 degree FOV. They feature an eye relief of 18mm and weigh in at 3 pounds. The optics are not great, but quite OK. There was some slight ghosting around the Moon but it wasn't that bad to take away from the view. M45 was great and the four moons of Jupiter were very easy to see. This binocular must be mounted on a tripod for extended use. For a very short time you can handhold them, but at 3 pounds the shakes start early. A very poor plastic tripod adapter is supplied. Pick up another one when you can and dump this one. This is visually impressive, with a rubberized exterior but its not armored. It's a great deal for the price. If you want a cheap, decent binocular, then this large one at 15x power is a good choice. From about 50% out to the edge, the views of stars start falling short. From about 65% to the edge, the views are very poor. Got these for my wife. Great view when I get them away from her. Very well built, only 3 lbs. Still need to rest your arms on something. The view of Orion was very good and same with pleadies. Need some good weather for some more viewing. Have not had any problem with dewing - time will tell. Will need to use a tripod to help hold steady.